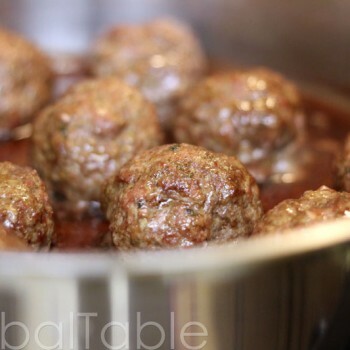 Shape meatballs and place on a foil-lined baking sheet (or slipat). I made each one with a 1/4 cup of the meatball mixture. This made 12. 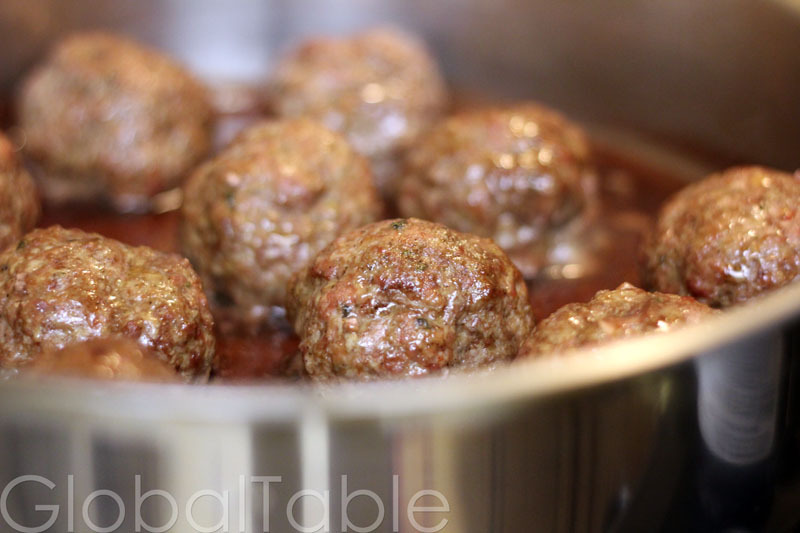 NOTE: At this point I chilled the meatballs overnight. Right before baking I “perked them up” with a quick shaping. When roasted cold, they retain their round shape a little better.